scientists say that it is destined to go supernova. 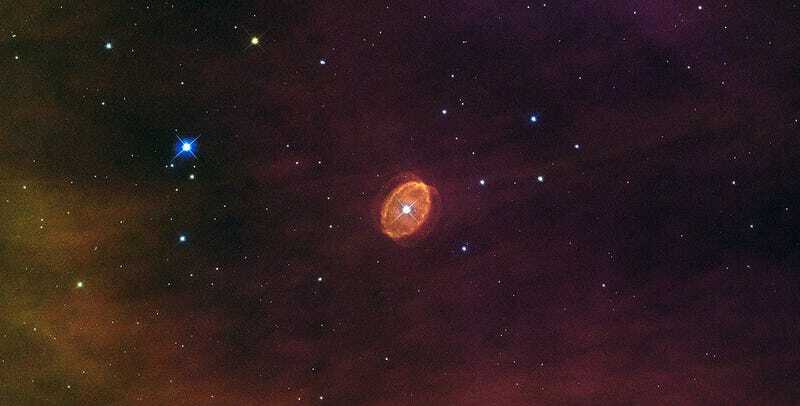 Twenty-six years ago, another star with striking similarities went supernova — SN 1987A. Early Hubble images of SN 1987A show eerie similarities to SBW1. Both stars had identical rings of the same size and age, which were travelling at similar speeds; both were located in similar HII regions; and they had the same brightness. In this way SBW1 is a snapshot of SN1987a's appearance before it exploded, and unsurprisingly, astronomers love studying them together. Of course, "about to explode" in cosmic terms may mean in one hundred years. Like NASA says, "if we are very lucky it may happen in our own lifetimes."